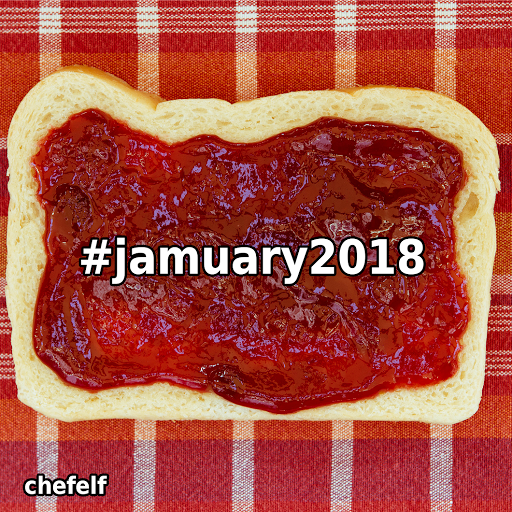 I found out about Jamuary a few months after the first one happened in Jamuary in 2017. I was super excited when I learned about it from AfroDJMac and I couldn’t wait to participate in 2018. The idea is recording or making music every day for the month of Jamuary. I completed it hitting all 31 days and ending up with 31 tracks of varying quality, creativity, and style. The point isn’t to make everything perfect, it is simply to make music every day. This was the first time I’d made music every day in probably 20 years and it felt great. AfroDJMac also proposed “Finish February” and above is the result of that. His idea was to polish some of the Jamuary tracks and make an EP. I had the poor idea to just release all the tracks after a few quick tweaks. There are some I love, there are some I hate, and there are a lot in between but it was a great experience. Looking forward to 2019!